Are you longing for Christmas? Can't wait to warm yourself by the fireplace, drinking hot cocoa and toasting marshmallows? 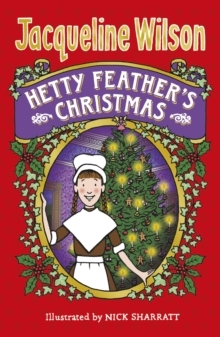 Hetty Feather's festive story is bound to get you in the Christmassy mood!----------An unexpected gift leads to trouble for Hetty on Christmas Day at the Foundling Hospital, and the dreaded Matron Bottomly is delighted to have an excuse to exclude Hetty from the festive celebrations. Poor Hetty is distraught - but just when it seems that all is lost, a dear friend arrives to whisk her away for a Christmas unlike any other . . .